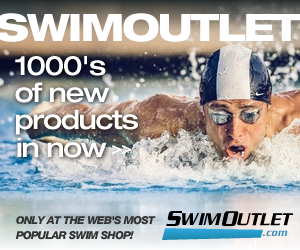 Websites' www.Natural-Swimmer.com Question: What does get into shape mean to a swimmer, triathlete or any athlete? I define get into shape or “getting fit,” for any athletic activity, as gaining sufficient metabolic conditioning to be able to express a desired set of skills, at a desired intensity, for the desired duration. The key there is the "desired set of skills" part. The skills needed for excellent swimming (hopefully these are your “desired skills”) require the use of a very specific set of muscle fibers and motions. Less effective swimming uses different muscles and motions than excellent swimming does. Fitness for excellent swimming is achieved by repeatedly going through the motions of excellent swimming in a variety of intensities and durations. Conversely, executing less effective swimming skills only serves to increase the fitness level of the specific muscles used for those less effective motions. To get into shape, many swimmers take the commendable first step of acquiring a base of cognitive knowledge through articles, books, videos, etc. The sticky point comes when they take the second step of trying to turn that cognitive knowledge into visceral knowledge - acquiring, refining and creating habits of the physical skills needed for highly effective aquatic motion. People are often apprehensive about getting into a swimming group, or otherwise going under a coach's eye, while "out of shape" and decide to “get fit on their own” first. There is a rub to this ruse, however, when the activity involves a complex combination of fine motor skills. Swimming is just such an activity. Even with lots of cognitive knowledge, working on your own means working entirely on internal feedback, which may or may not be very accurate. For some, this works passably well - particularly for those who are highly organized, intensely analytical and rigidly disciplined (If you take thorough, detailed notes when watching a swimming video, reading a book or article or taking a clinic, you may fall in this category). For most, though, having an experienced coach to guide, watch and give feedback will greatly shorten the learning curve. The sooner this relationship is established, the better. Self-Coaching or Find a Coach? Taking the “on your own” route to get in shape often results in time spent unlearning recently acquired skills and replacing them with more effective skills once the swimmer gets started with a coach. This then means a goodly portion of the “fitness” previously acquired is no longer applicable to the new skills.